They Just Don’t Get It! That’s the view of legendary deep value investor Martin Whitman, Founder and Chairman of Third Avenue Management. In this exclusive interview taped at the Museum of American Finance, Whitman takes on Congressional and Wall Street ignorance about debt, credit worthiness, and earnings. 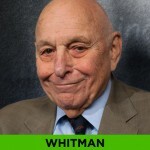 Whitman will also discuss his long term mantra, to buy “safe and cheap” stocks, and his four elements to getting growth at dirt cheap prices.